Art has been used to capture existential ennui since the first caveman drew a picture of himself failing to take down a woolly mammoth. And now L.A. based artist April Eileen Henry is using Instagram to make artistic messages of angst and dread literal. 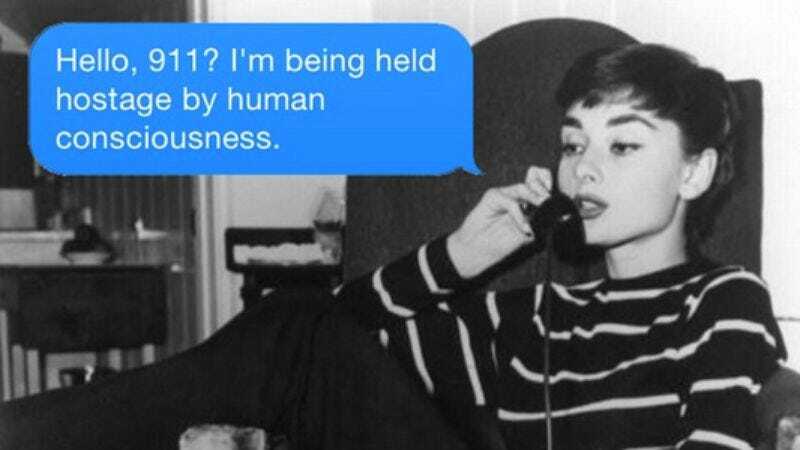 On Texts From Your Existentialist, Henry combines artsy images with clever captions that draw attention to the meaninglessness of modern existence. There are plenty more images on Instagram, and Henry also sells them as prints over on her website.